Saturday, October 19 Jillian Maas Backman facilitated Simran Singh’s “Rebel Road Tour” stop at the Sikh Temple in Oak Creek, Wisconsin to participate in a panel discussion of the topic, Oneness: From Darkness to Light. Simran Singh’s Rebel Road Tour is for the purpose of connecting life dots from what was to what is, celebrating the human experience walking towards the expression of universal light. Jillian Maas Backman’s relationship with the Oak Creek Sikh community has deepened over the years since she first became a student, taking her “Journey to the East” as explained in Chapter 10 of her book, Beyond the Pews. It was a great shock to Jillian, and to the nation, when on August 5, 2012 the Oak Creek Sikh Temple made national news when several members lost their lives due to a shooting. Those members are memorialized on the official website. Jillian Mass Backman is an Award-Winning Radio Personality and Intuitive Life Facilitator. She graduated from the University of Texas in San Antonio with a degree in Psychology. Through years of study and experience, Maas Backman has developed her career around her empathic ability to assist those who require a distinctive, natural healing and knowledge: that of the soul. 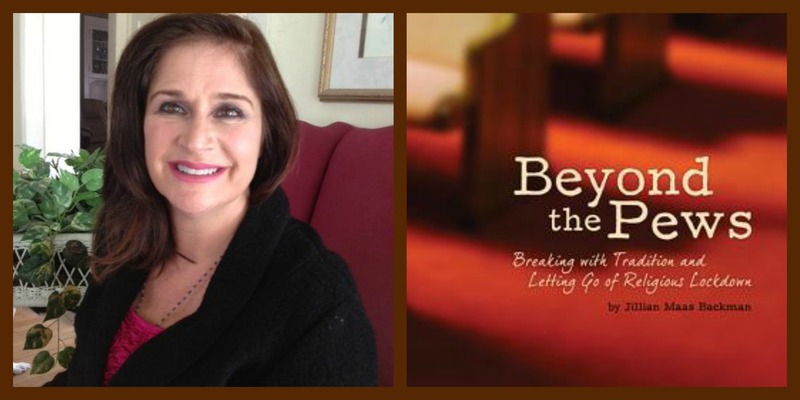 After taking a hiatus from the airwaves to finish her award-winning book, BEYOND THE PEWS: Breaking With Tradition and Letting Go of Religious Lockdown, Jillian returned to broadcasting in January 2012 with the creation of her current worldwide blog talk radio show, Change Already! Your Future, Your Choice. Along with interviewing an array of interesting guests, her groundbreaking approach offers the audience step-by-step methods that can be incorporated into their daily lives. Her show can be found at http://www.blogtalkradio.com/jillianmaasbackman. Jillian Maas Backman has been a key-note speaker at numerous colleges, seminars, and book conferences. Her client base includes corporate executives, international business leaders, celebrity musicians, artists and school administrators. Along with expanding her blog radio show, working with clients, and spending time with her family, Jillian is also working on her second book. Since its release in 2011, BEYOND THE PEWS: Breaking With Tradition and Letting Go of Religious Lockdown has won several literary awards which include 2012 San Francisco Book Festival, Best Spiritual category; and the 2012 CONV Award, Second Runner-Up, Autobiography category. Simran Singh is a creative visionary, transformational catalyst and ‘Leading Voice for the Journey of the Soul’. Publisher of the Nautilus Award Winning 11:11 Magazine, the only publication to have ever been granted this designation and #1 rated, syndicated 11:11 Talk Radio show host, Simran brings to the forefront a unique interpretation blending co-creative power with metaphysics and personal responsibility. Impacting thousands upon thousands with her message, her passionate style takes individuals on a journey into personal power, authenticity and presence through writing, speaking, products and creative expression. Simran’s passion and purpose is providing resources, wisdom and creative expression through vehicles that support the growth and evolution of consciousness on the planet. Simran assists individuals in making meaning out of the experiences in their lives, while providing focus upon the conversation begging to be had from the Universe, as a means of greater connection and self realization. Her unique yet gentle manner of relaying thought forms catalyzes authentic living and action. Expertise in generating interpretation and understanding for the various messages and languages the Universe has available is what has led to the expansion of 11:11 media resources and audience. Simran Singh, Publisher of the Nautilus Award Winning, leading self coaching, life enhancement publication today, 11:11 Magazine, distributed in print throughout North America and worldwide in its digital form, is the Syndicated 11:11 Talk Radio Show Host, 11:11 Innerviews On The Lighter Side – World Puja Network and The rebel Road One Woman Road Show Tour. Simran has committed her life to providing content rich, quality information through creative vehicles.